Adjusting your cleaning methods to suit any change in interior design is important, especially if you’re keen on maintaining a clean, healthy atmosphere for family, friends or perhaps even tenants. You might think that there aren’t many significant changes you need to make to your specialist cleaning strategy but in truth, there are a number of ways you can improve the cleanliness of your home by approaching a typical spring clean in a different way. Examples of changes to your interior design include switching from carpets to wooden flooring and introducing new materials such as leather or stone. You might have had a specific approach to cleaning carpet for quite some time and there’s a chance it was quite detailed. Carpets easily trap dust and dirt beneath fibres and can often become infested with allergens and other invisible threats. Wooden flooring is a beautifully timeless alternative in terms of interior design but carries its own specific cleaning requirements. 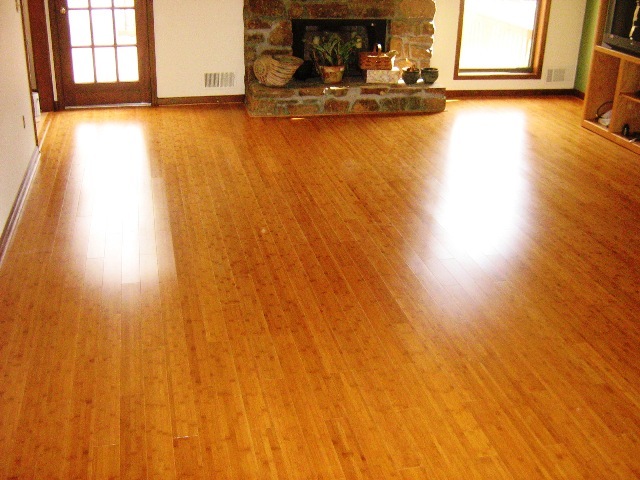 Instead of dealing with trapped dust and allergens, you need to consider the effects of damp on wooden flooring. This can lead to unpleasant aroma as well as squeaky floorboards. Before removing carpet or installing wooden flooring, check thoroughly for any signs of damp that have cracked, damaged or eroded the surface. Plastic flooring is something you might have in your hallway, kitchen or bathroom and it’s a useful alternative to other methods of flooring that require detailed cleaning solutions. When you decide to switch to stone tiles, there are a number of things you need to consider before going for the mop, such as the cleaning solution you are using and the type of natural stone you have installed. Stone reacts differently depending on the type, so make sure you know exactly what you have so you can carry out the necessary research and adjust your cleaning methods accordingly. Leather sofas are a huge hit nowadays, especially in the contemporary market. As people look to gradually upgrade their upholstery with new materials that resemble a slightly more modern feel, leather has become a lot more common in living rooms. It’s also a bit easier to clean, as fabric often traps dirt and stains much easier. However, leather requires regular attention with dry cloths, vacuums and a leather conditioner to maintain its consistency. As always, spills should be wiped away as soon as possible to prevent staining.